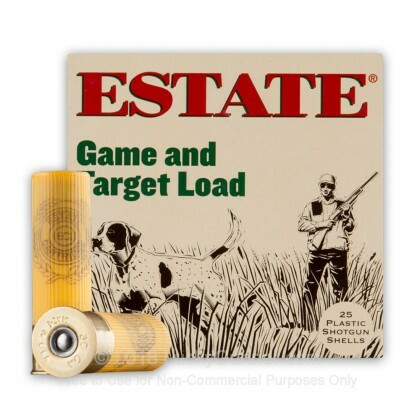 These 20 gauge shells are built upon a versatile recipe that will serve sportsmen for both hunting and gaming needs! 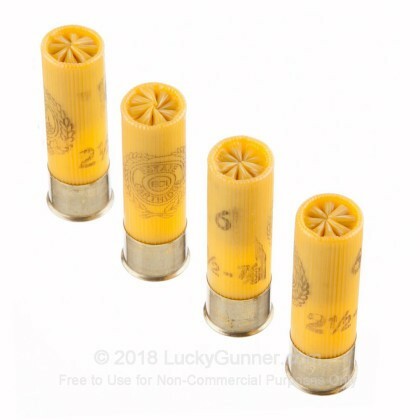 Each round uses a moisture-resistant hull that is 2-3/4 inches long for compatibility with any pump-action, side-by-side, or over/under shotgun. 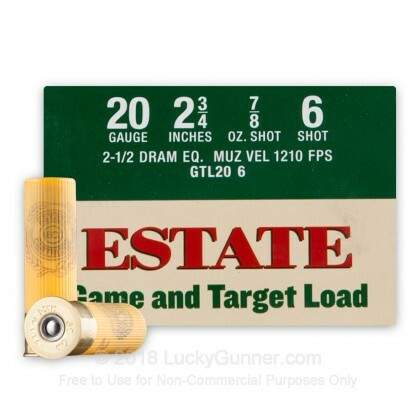 Each shotshell contains 7/8 ounces of #6 size lead shot which is great for taking down grouse and rabbits alongside featherless clay pigeons at medium range. The shot cloud is propelled by a consistent measure of clean burning powder which is nestled behind a standard split-type wad. 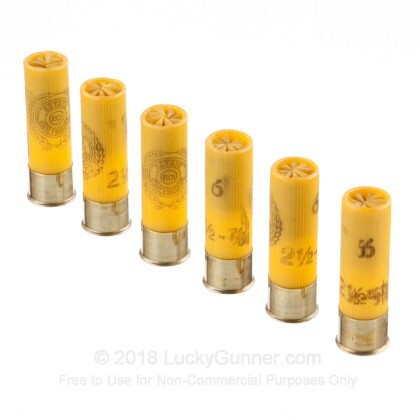 The plastic wad protects the shot pellets from flat-spotting which helps them maintain tighter patterns out to longer distances. 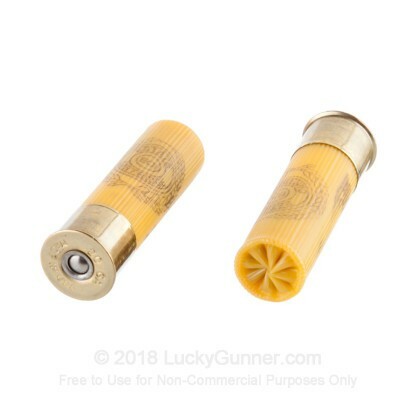 These 20 gauge shells are highly affordable and exhibit low recoil for novice shooters or hunters with high volume practice schedules. 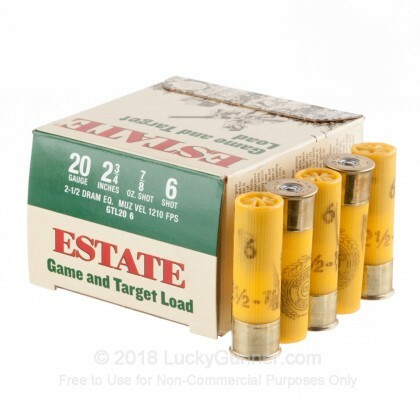 Estate Cartridge, Inc. is an American company that shares the same parent organization with big brands such as Federal, Speer, and CCI.